PMF speaks to Massi Milani, Executive Director, Marketing, EMEA Aftermarket at Tenneco/Federal-Mogul Motorparts, to get the inside track on the company’s recent introduction of hybrid core technology, under the refreshed MOOG brand. Q. When can we expect MOOG’s new technologies to be rolled out? Massi Milani (MM): Our new advanced products are available in the UK now and can be identified by their vibrant yellow packaging. MOOG’s ball joints, control arms, tie rod ends, axial rods and link stabilisers will all feature the new technologies. Over 1,000 SKUs make up the differentiation project and will be released in monthly batches of around 100, as part of a progressive rollout. The product advancements include Hybrid Core Technology, new synthetic grease, zinc-flake coating and a newly designed housing coating. Hybrid Core Technology utilises induction heat treatment and carbon fibre to significantly improve durability and strength, and has been implemented on all of MOOG’s steering and suspension products, where suitable. Q. How will the implementation of these new component manufacturing processes affect the price of MOOG components? MM: There will be no price difference. Of course, prices will go up in the beginning of next year, but this will be a normal increase due to inflation and has nothing to do with the new technology and manufacturing processes used in the parts. Q. What is ‘radial deflection’, and why is it important? MM: As components age, they introduce an increasing amount of ‘slack’ into the steering and suspension system. This slack can also be referred to as radial deflection. The longer or harder a component’s use is, the greater this deflection becomes. 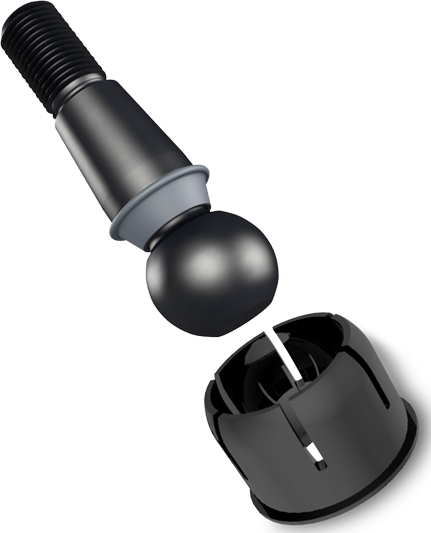 Hybrid Core addresses this incremental problem by using carbon fibre reinforcement within the joint, increasing strength and durability while reducing articulation torque. 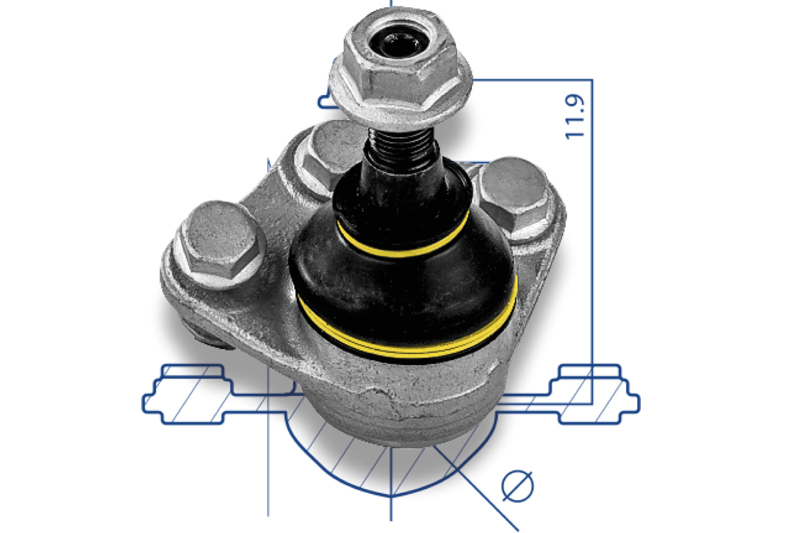 Over time, MOOG’s ball- joints, control arms and tie-rod ends will wear significantly less, reducing ‘play’ or ‘slack’ within the vehicle’s steering and suspension system, and extending the components’ service-life. Q. Finally, what are some issues or threats faced by MOOG in the steering and suspension market right now, and are there any general market trends? MM: The steering and suspension market remains buoyant, and we expect it to continue to grow for the foreseeable future. This is largely due to the evolution of the suspension systems, which has led to a huge increase in the number of replacement parts that exist on vehicles, predominantly built from the mid-90s onwards. Manufacturers, in their bid to deliver an enhanced driving experience through improved driver and passenger comfort, as well as safer vehicles, have developed very complex suspension systems. For example, in the multi-link system developed by German marques such as VAG, Mercedes and BMW, there can be up to 40 different chassis-related parts on the front axle alone. Coupled with the evolution of the rear axle, where there has also been a huge increase in the number of replacement opportunities (in particular for rubber to metal parts), as a manufacturer of quality steering and suspension parts, operating within the aftermarket has never been better.